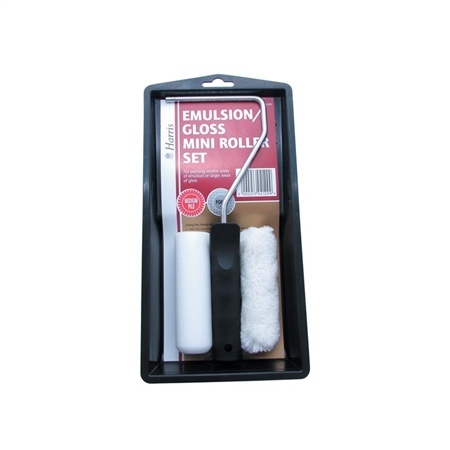 Mini Rollers are great for painting doors, trim and other difficult areas. Different types are available for different paint types. The ID Flexiroller is made of glass-fibre so is flexible to bend behind radiators and other obstacles! The three sleeves can be used for gloss painting, emulsion painting. 1 x Polyacryllic Roller, 1 x Foam Roller - both 110mm long. Handle fell off as soon as I started painting . Job finished with a brush .